The original E21 320i and 323i wheels were 13×5.5″ with an 18mm offset (ET). There was also a 13×6.0″ ET13 Motorsport wheel available. These sizes are slightly larger than what was used on the 2002 models. 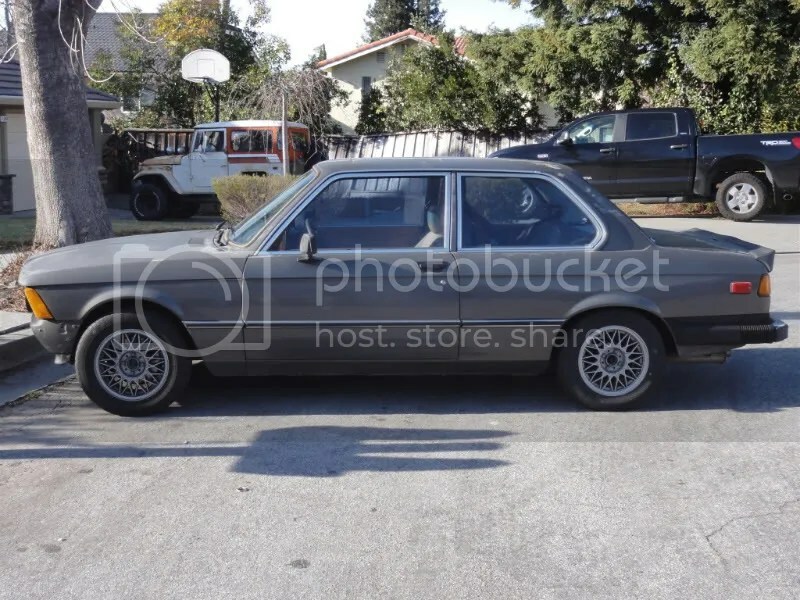 It’s interesting that BMW did not give the 323i a wider wheel. If you want to maintain the the OEM appearance from the factory wheels you can use wheel spacers. A 15mm or 20mm spacer would work nicely. Of those, the Melber wheels are the most aggressive, putting the wheel 25mm further out towards the fender. We can use this as our benchmark as a “maximum aggressive” fitment. Meaning, if they were any further out they would probably be rubbing on the fender. But they look impressive! The Ronal are the second most-aggressive, adding 18mm to the track on each wheel. The Ronal is an E30 fitment so there are few resources to go by. The Alpina Kopi (replica) wheels are the more conservative but still give 11mm of extra poke from the stock fitment. The higher offset means the wheel sits closer to the inside of the car (towards the strut). To use the E30 wheels you will need to use wheel spacers, probably a 15mm for the 14″ and a 5-8mm for the 15″ wheels. Of course, the one variable I left out of this is the tire size. Running tires with a taller sidewall would lead to rubbing. I left tires out on purpose because of all of the variables in sizes. Have something to contribute? Let me know in the comments section below.